Use this Pythagorean theorem calculator to calculate the hypotenuse or the length of a right triangle’s missing leg. A right triangle’s hypotenuse is the side across the triangle’s right angle. You can find this side manually by performing a calculation with the hypotenuse formula which is also known as the Pythagorean theorem formula. Or you can use this hypotenuse calculator which is much easier. How to use the Pythagorean theorem calculator? How do you find the hypotenuse of a triangle? How Pythagoras prove his theorem? You only need to input two values which are the measurements of the right triangle’s legs that you have. Input value for (a) and a value for (b). After inputting these values, the Pythagorean theorem calculator will automatically generate the value for (c), the Area of the triangle, and its Perimeter. First, you need to learn about the Pythagorean theorem. This shows the relationship between right triangle’s sides. It states that any right triangle which has sides with lengths (a) and (b), the hypotenuse would have the length (c). 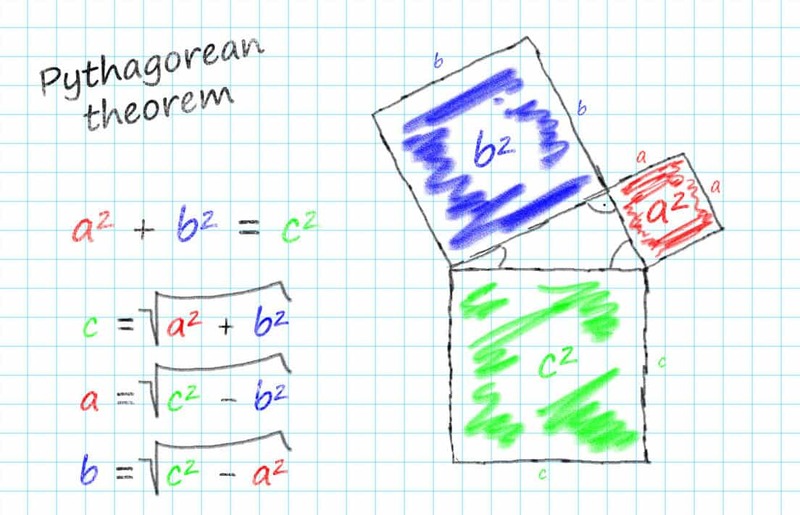 Therefore, the Pythagorean theorem formula is a2 + b2 = c2. After understanding the theorem and the formula, the next step is to make sure that you’re working with a right triangle. The reason for this is that the Pythagorean theorem only applies to right triangles. Also, only right triangles possess a hypotenuse. Assign the variables (a), (b), and (c) to all the sides of your right triangle. Just keep in mind that you should only assign the variable (c) to the longest side of the triangle or the hypotenuse. Then you can assign the other variables to the other two sides of your triangle. The next step is to find the squares of the short sides which you’ve assigned with (a) and (b). Find these values by multiplying the numbers by themselves. After getting the values, place them into your formula. Going back to the original formula, add the squared values of (a) and (b) so that you can compute for the value of c2. Finally, compute for the square root of c2 by using a calculator’s square root function. The value you acquire is the length of the triangle’s hypotenuse. 1 * -1 = -1. Therefore, this means that you have a right triangle. There are also times when you get a problem where you’re missing two or all of the triangle’s side lengths. Unfortunately, this Pythagorean theorem calculator won’t be very helpful. In such cases, you would have to manually use the trigonometric functions so you can solve these missing lengths. You can calculate these values manually, or you can use a triangle calculator. The credit for this theorem foes to Pythagoras, the mathematician, and philosopher of ancient Greece. Although the Babylonians and Indians have already used this theorem, Pythagoras and his students were the first ones to prove this theorem. However, there’s no concrete proof that it was Pythagoras himself who proved the theorem named after him. In any case, the proof credited to Pythagoras is extremely simple and is commonly known as the proof by rearrangement. Picture two squares and within them, picture four identical triangles. The only difference you would see between these two squares is the arrangement of the triangles within them. Therefore, this means that the space within the squares has an area that’s equal. Equating the area of this space would yield the Pythagorean theorem.